Tomorrow is the last day of the first semester of my eleventh year of teaching (that’s a tongue-twister), and it has been really great. I like my schedule this year, I have really great kids, and I have consistently been in a pretty decent mood. I will say I haven’t been super productive but at the same time I haven’t really been buried in grading or way behind on anything, and there are definitely areas in which I need to improve (read: vocabulary!!!). But overall, I count this as one of my favorite semesters of all time. Yay! Where the idea came from: I had been looking for a way to change up discussion for a little while and I came upon this list from Cult of Pedagogy. While many sounded great, the concentric circle idea made me stop and think. I chose this one because I felt like it would be the easiest and best way to get ALL of my kids involved with the discussion rather than just my chatty kiddos. What it looks like: I moved all of my tables to the side of the room and put the desks in a circle in the middle of the room facing out. I then moved the chairs from the tables to face each desk. When kids entered the room, the screen told them where to sit. (I did it once with The Great Gatsby, but that was super chaotic, so I’m just going to explain how I did it with the Of Mice and Men final discussion). Here is the presentation I used to go through the process. Since we had done it before, I didn’t have to explain too much, but we talked about what makes a discussion vs. just saying statements back and forth (ugh–the worst!). As you can see on the presentation, I basically had a couple rounds (enough to cover all of the discussion questions) and had the kids change partners after each round. How it went: Like I said, when I tried it with TGG, it didn’t go super well because I didn’t know I was going to do it when I assigned discussion questions, which I had done completely randomly. So, for OMaM, I made sure that the inside circle had one set of questions and the outside had the others. (These are my final OMaM questions, so half the class had odds and half the class had evens). This was MUCH less chaotic, so it went really, really well! I was so excited! Most of the kids enjoyed it and said they preferred it. At first I was like, “how will I know who is discussing like they should be?” But it was actually pretty easy. I wandered around and listened in, joined in sometimes, asked some additional questions to keep discussions going. And I heard some GREAT responses. All-in-all, it was definitely something I will do again! Where the idea came from: I just sort of made this up after being sick of kids not reading my comments and not learning anything from previous writing experiences. How it went: One student, when I sat down to help his group with something, said “Mrs. 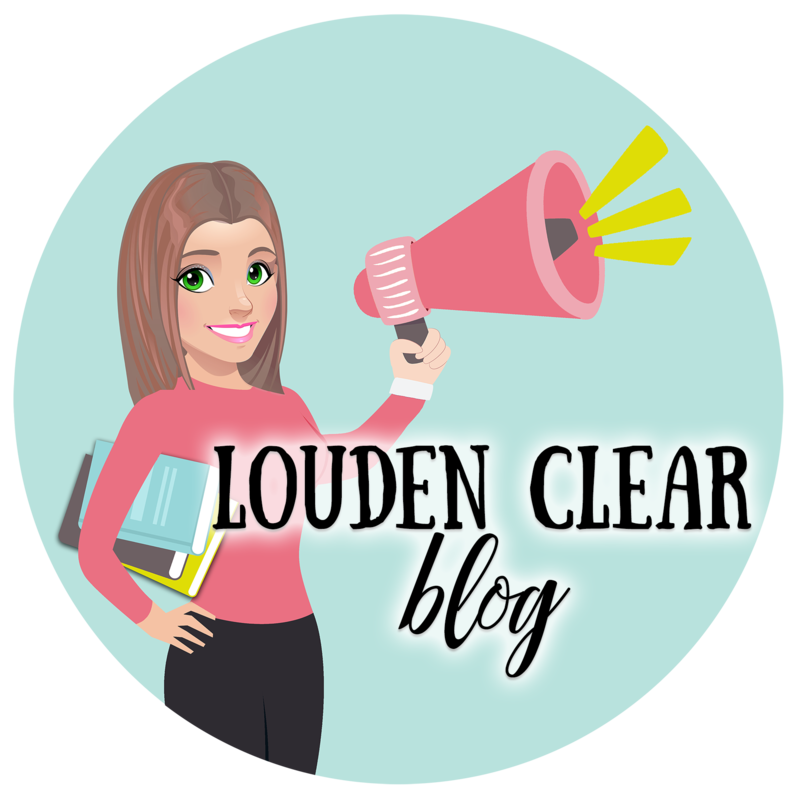 Louden, you’re brilliant.” WOW! That’s a new one! “I don’t know about all that, but thanks!” He explained that what I said was true and that he’d never really paid any attention to the comments his teachers wrote on his paper. WIN!!!! Overall, it went really well. Next time I need to work on helping kids figure out what to look at. Where as I was more concerned with content, organization, etc., they got hung up on “I should have had a better title” or “I am bad with commas”. Yes, those are important, but those are lower order concerns and I hope to help them learn the difference next semester. I think the process was good though. Most kids gave themselves lower grades than I did (which makes giving them their grades MUCH easier, by the way) and a lot of light bulbs went off during conferences. Of course, I won’t know until our next formal writing if it worked or not. Many did show improvement on their formal paragraph on the final exam, so I have hope. Group Competitions– Admittedly, I still need to work on this because I haven’t been great at keeping up with it. I let each group choose a team name, and then I hung signs up with columns for each group. When the groups did certain things (everyone had their notebook out when the bell rang, or group members dressed up for Homecoming, or whatever) I would add a sticker to their group’s column. Now, what did I do with this? Umm, nothing. That’s where the fail happened, but the when it came to motivating the kids to be prepared, stay on task, etc., it actually worked quite well, so for now I’m counting it as a minor win. The Great Gatsby Essay Process – My essay prompt comes from an AP prompt, which I switched up to suit my regular 11s a bit more. Basically I offer eight quotes from famous (or obscure) people that they had to prove Fitzgerald either agrees or disagrees with based on the novel. I like the prompt (although I do plan to change it next year), but this year I made the process pretty intensive and I made models for every single part. I made videos to explain parts of the essay so the mini lessons were available later. I also have 5th period off this year, which means I am available during all lunches and advisories, so I opened my doors up to help any day during the writing process. This was great. A lot of kids came to get help on their essays, which made for a much less tear-inducing stack of essays to grade at the end of it all. I really liked this process as I felt the students got a much better handle on each part of the paragraph and the essay. By far these were the best essays I’ve had in years. Hallelujah! If you have any questions about what I’ve shared, please feel free to ask! What are your wins this semester? I’m so excited for break (we’re heading to the Bahamas in three days!!!) and some time to recharge. Next semester I have a student teacher, so I’m looking forward to an opportunity to revitalize my own teaching and help a new teacher develop her craft. Have a great break, y’all! The Classics: To read or not to read? Reading and Writing and Speaking! Oh My!